I am pleased to be conducting two big collaborations with the Utah Philharmonia in the coming month. 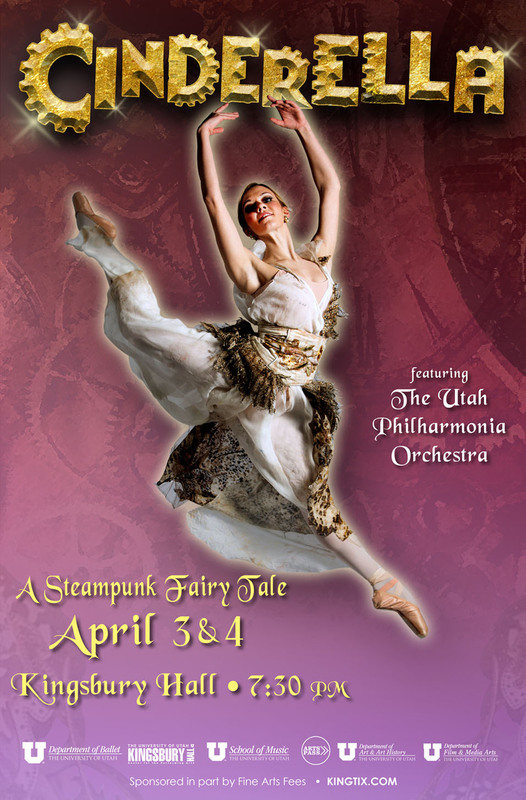 Both are productions of the Cinderella story; one with the Utah Ballet, the other with the Utah Lyric Opera Ensemble. Although we never planned it to coincide with the Disney remake, both are “dreams come true,” in a way. 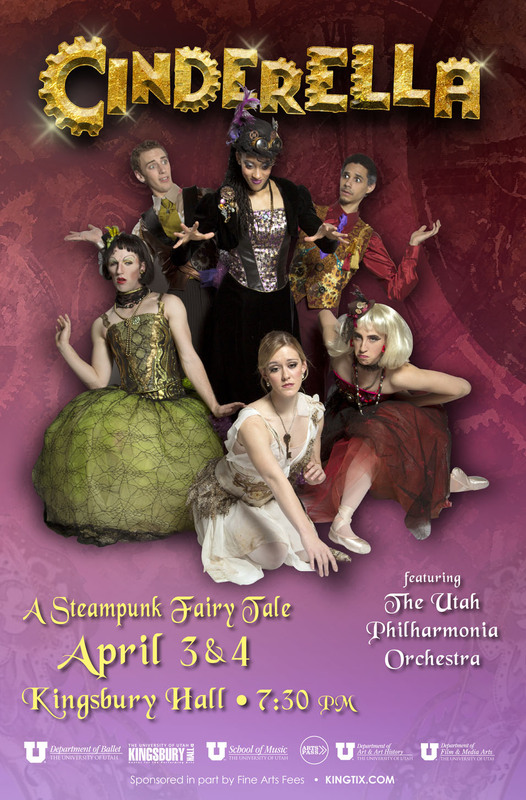 The first is a production of Prokofiev’s Cinderella, done in steampunk. Steampunk is a style originating in a literary subgenre of speculative fiction, usually set in a quasi-Victorian setting. External elements include steam-powered machines, airships, and lots of gears and mech-designs. A good description might be: “What the past would look like if the future had happened sooner.” Prokofiev’s music is visionary and incredibly good as a traditional ballet, but the steampunk design seems to both fit the story and give it a “modern” twist that is wholly appropriate. Choreographer Jay Kim came up with this idea that continues to excite us as we race towards production week. Three weeks later, the Phil is back in the pit for a production of Jules Massenet’s Cendrillon (French for Cinderella). The score is quite interesting and contains elements of French opera, as one would expect, but also the seemingly out-of-place elements of German fairy-tale operas and even a hint of Wagner. The steampunk set and design will be in place once again for this production, the seemingly non-sequitor elements playing off on one another to great effect. The show will be directed by Michael Scarola, a veteran of productions at the Met and New York City Opera and who is currently with the L.A. Opera. . By nature, both opera and ballet are collaborative efforts, but these productions are even more collaborative than most, with the entire College of Fine Arts getting involved. It’s an artistic effort reminiscent of Babbage’s Difference Engine (yes, a steampunk reference that is a thing in “real history,” too!) Here’s a preview blog article about the productions and all of the elements involved. 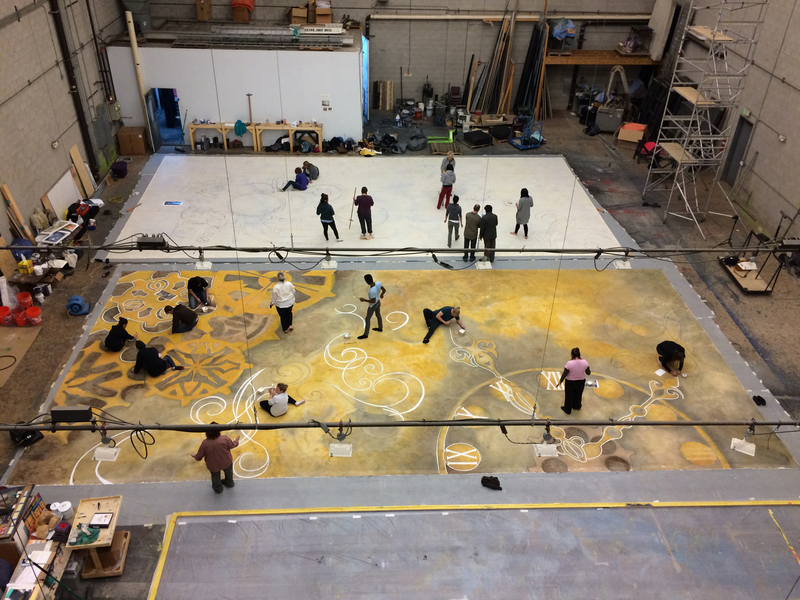 The Finer Points Blog Link From painting the giant mural backdrops to concentrating on tiny articulations in the score, these are two collaborative efforts not to be missed if you are within driving distance of Salt Lake City! I’ll see you from the edge of the pit!